Five of the non-golfers toured the Ring of Kerry on Monday to take in the breathtaking scenery the county has to offer. One of the highlights was a stop at a sheep herding exhibition. 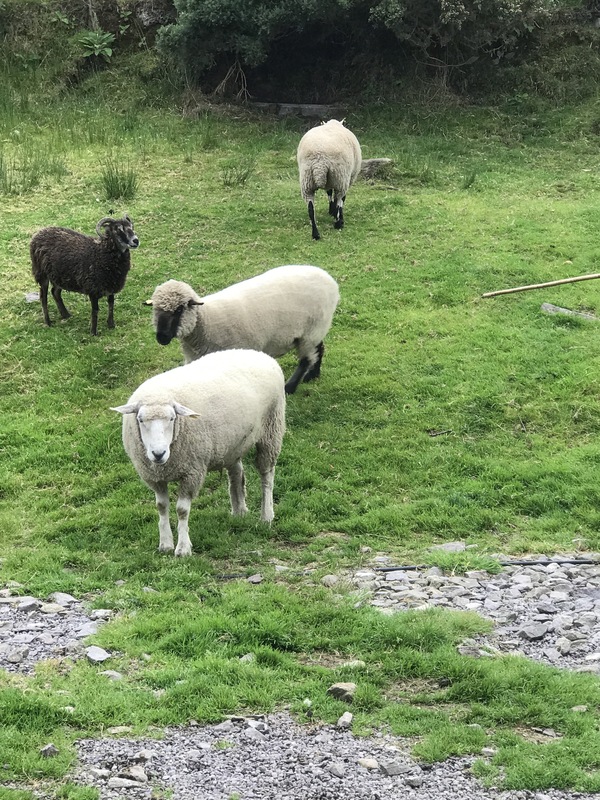 Who knew there were so many different kinds of sheep? The border collies never took their eyes off of the sheep even during the pre-herding talk. The dogs were nothing short of amazing, and one of my fellow travelers said the demonstration made her realize that her own dog wasn’t very bright in comparison. Here’s a little sample from our visit. I tried to download a longer video, but wasn’t able to at the hotel. Watch the action up at the top of the screen. I wish I could smuggle one of these dogs home in my carry on. They’d be handy for herding Studly. My first German Shepherd used to herd the other dogs, my niece and nephew, the pack of humans when he went hiking with us. A natural! Looks like fun, would your kitties like a dog? My kitties would not like a dog! I had only heard from a friend who has cats and dogs that if you have the cat first and bring a puppy in the cat trains the puppy the proper respect for the feline. Our elder cat tolerated our daughter’s small dog and would even tell us if we’d forgotten to let him in after his potty breaks. Our younger cat just hid for days even after the dog left. Knock it out with some guinness Leslie. Your cats could handle a cattle dog. Truthfully one of my cats would learn to herd by watching the dog. The other, though, would never allow herself to be seen again. 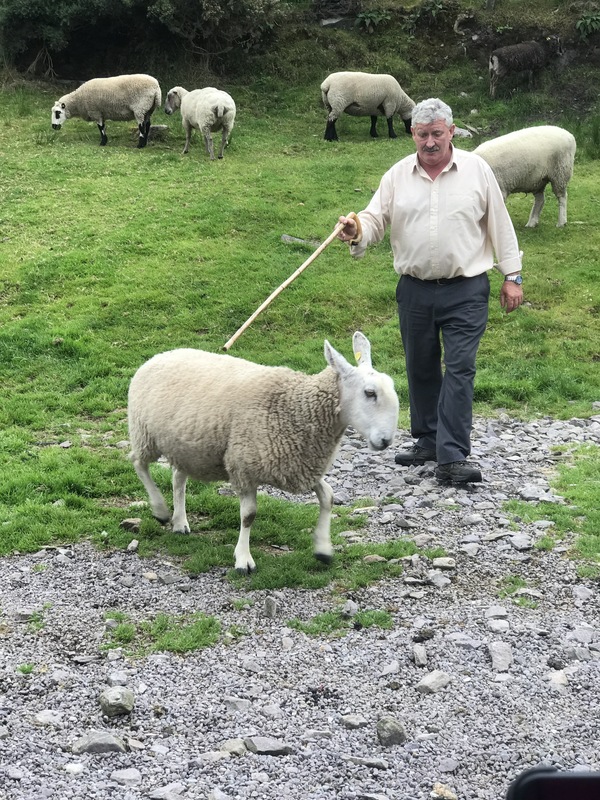 Irish sheep are much more cordial! If you’ve never seen the movie, Babe, you should check it out when you get home. 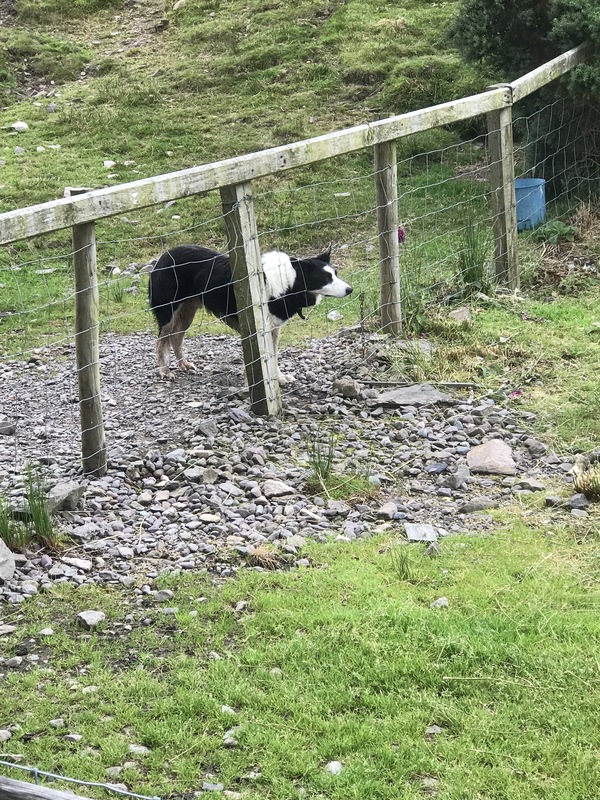 Much of the movie is about the relationship between sheep and sheepdogs. It probably takes place in Ireland now I suspect now that I viewed your video. I’ve seen that! It’s one of the grandkids’ favorites.